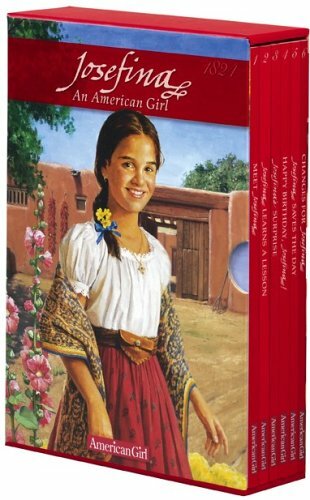 This keepsake boxed set features all six of Josefina's beautifully illustrated books filled with her inspiring stories about growing up in 1824. The box opens up to reveal a fun-filled Josefina's Favorite Things board game! Girls will have fun earning points as they move around the board collecting cards that feature Josefina's favorite things. Board game and pieces tuck into storage pouch that folds-up with an elegant ribbon closure for easy storage. Includes Meet Josefina; Josefina Learns a Lesson; Josefina's Surprise; Happy Birthday, Josefina! ; Josefina Saves the Day; and Changes for Josefina.